Where wonders reisde next door! The Census of Marine Life is aimed at cataloging as many species of sea creatures as possible. This is a Venus flytrap sea anemone (Actinoscyphia sp.) from the Gulf of Mexico. Its common name includes references to two terrestrial plants (“Venus flytrap” and “anemone”), but the species is classified as a type of polyp. It closes its tentacles to capture prey or protect itself. Here are some wonderful and never seen before nature creatures under the sea. 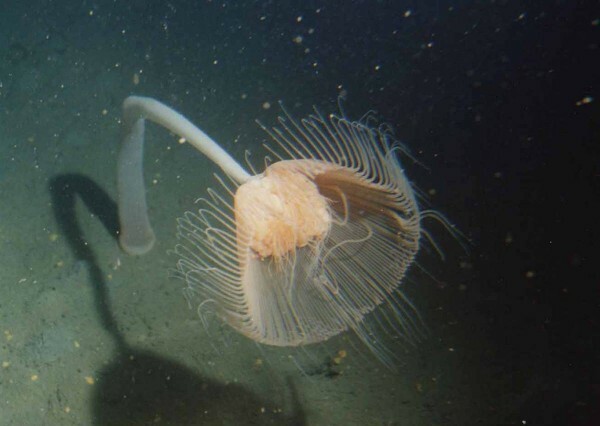 When attacked by a predator, this deep-sea jellyfish (Atolla wyvillei) uses bioluminescence to “scream” for help. The amazing light show is known as a burglar alarm display. This jellyfish was photographed by the ROV Hyper Dolphin east of Japan’s Izu-Oshima Island, 2,640 feet (805 meters) below the surface. A deep-water octopus (Benthoctopus sp.) 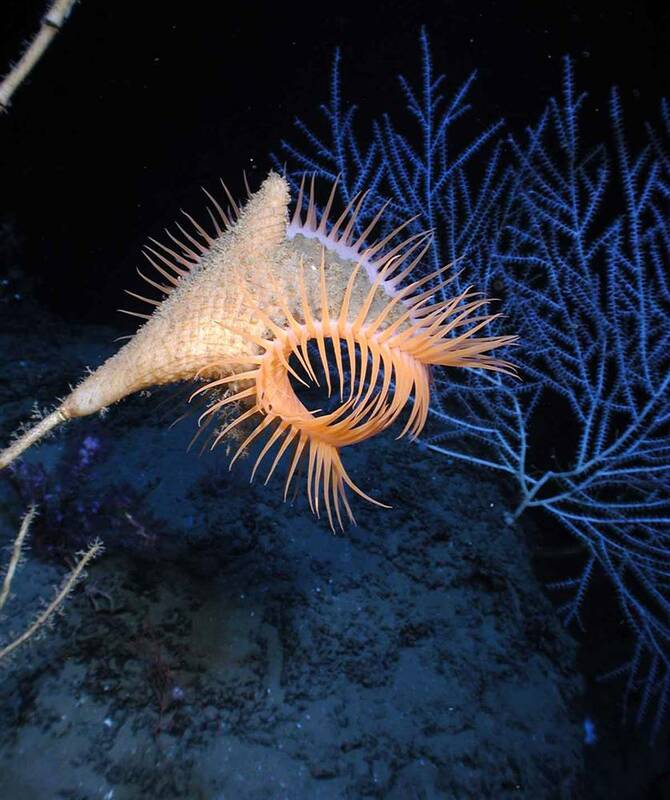 sits on the seafloo in the Gulf of Mexico’s Alaminos Canyon, about 8800 feet (2700 meters) beneath the sea surface. 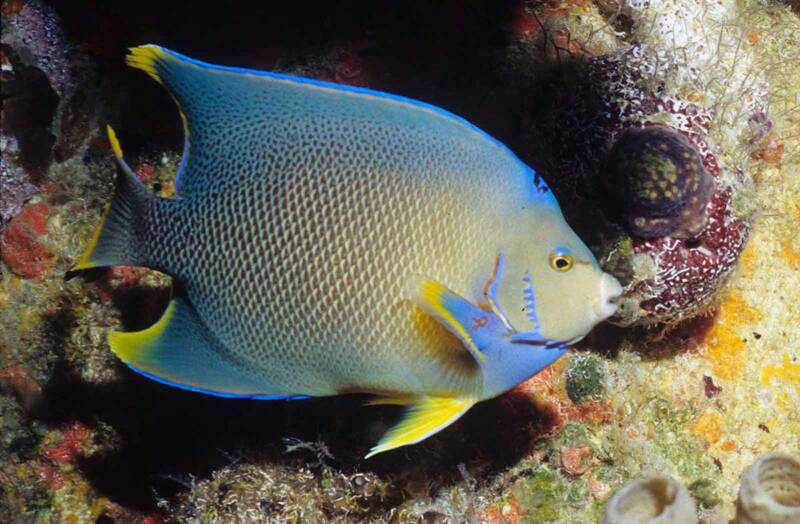 This queen angelfish (Holacanthus ciliaris) was spotted near an oil rig in the Gulf waters off the coast of Texas. 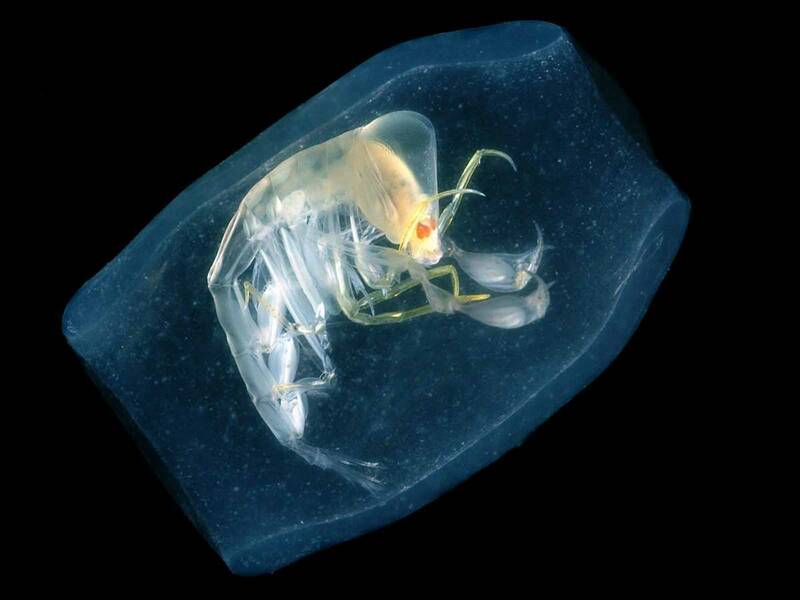 This Gulf of Mexico amphipod, Phronoma sedentaria, is known as the “Cooper of the Sea” because the crustacean species lives inside a barrel-shaped creature known as a salp, also shown here. Branchiocerianthus imperator is the largest known type of solitary hydroid. Hydroids look like flowers, but they’re actually animals with tentacles. 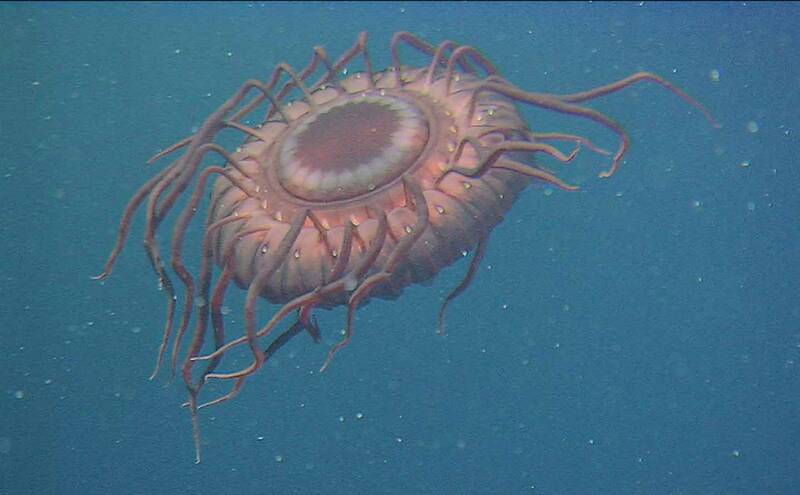 This one was spotted by the HOV Shinkai 2000 in Japan’s Sagami Bay at a depth of 2,200 feet (670 meters). Asteronyx loveni is a type of brittle star that tends to cling onto another marine species known as the sea pen. 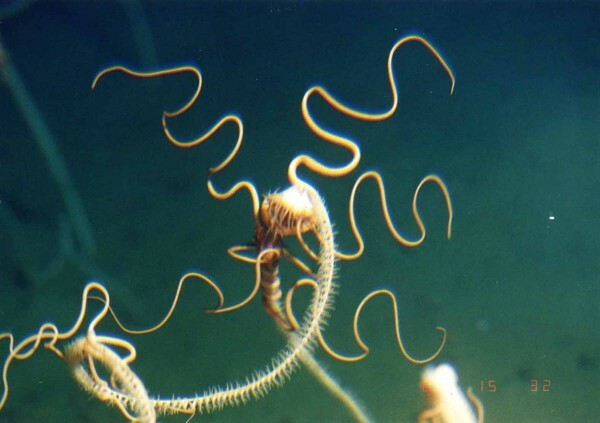 This brittle star was spotted with its arms flung wide in Japanese waters off Sanriku, at a depth of 4,150 feet (1,265 meters). The spider conch (Lambis chiragra) has six spines on the lip of its shell. The shell’s pearly interior displays beautiful tints of orange and yellow. The species is listed as “vulnerable” on the Red List of threatened animals of Singapore. This red-lined paper bubble (Hydatinidae gen. sp.) was discovered in a sperm whale carcass in the Kagoshima whale fall, off Japan’s Cape Nomamisaki. 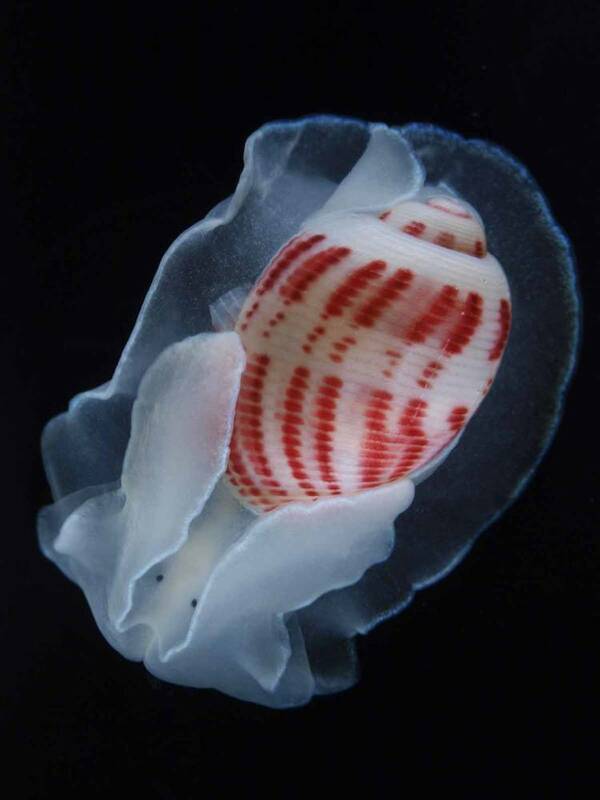 The gastropod’s tiny eyes are protected by cephalic shields. The “paper bubble” is actually an extremely thin shell. The giant Caribbean anemone (Condylactis gigantea) grows to a height of about 6 inches (15 centimeters). 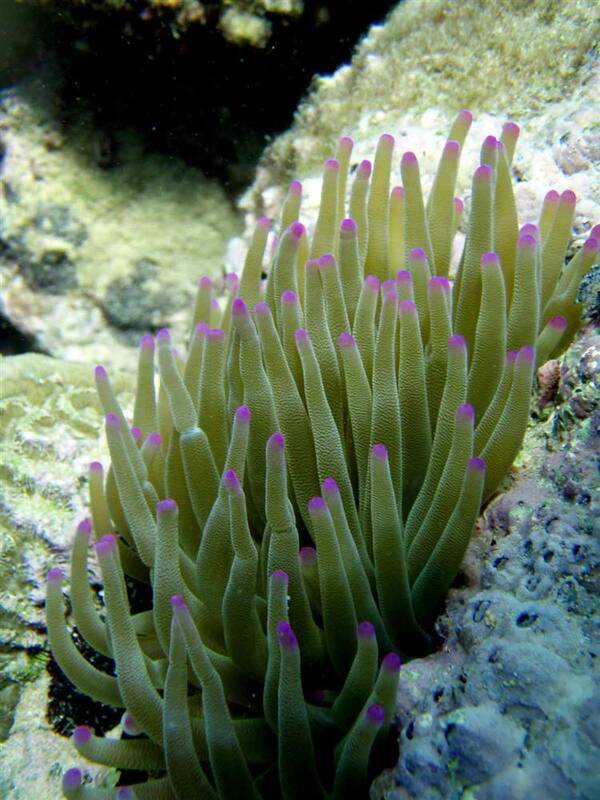 Its tentacles are beautiful … but they contain toxin-bearing nematocysts that paralyze the sea anemone’s prey. 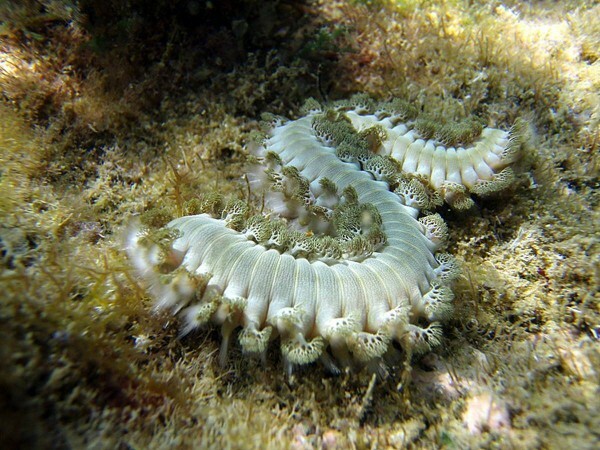 The bearded fireworm (Hermodice carunculata) is a type of bristleworm, with groups of white bristles along each side. The venom-filled bristles easily penetrate the flesh and break off if this worm is handled. They produce an intense burning sensation in the area of contact, hence the common name of the Caribbean species. 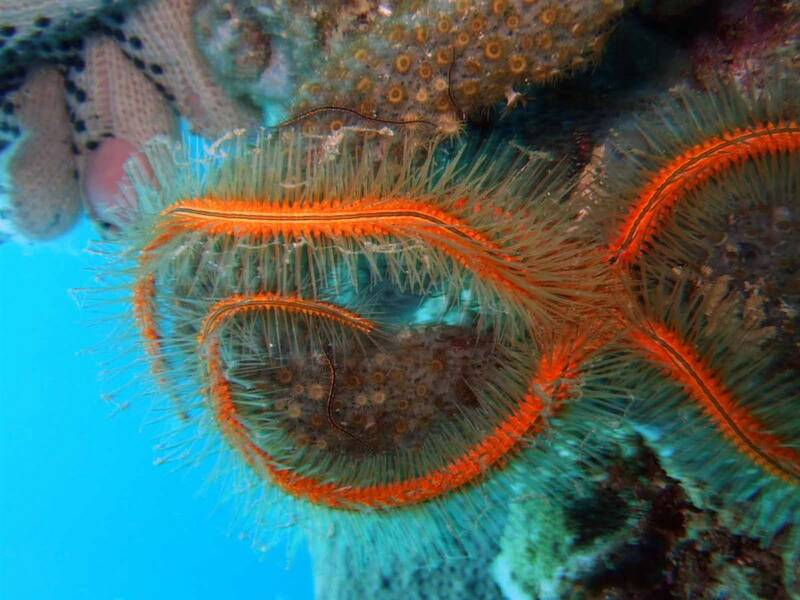 These nocturnal echinoderms (Ophiothrix suesonii) are called sponge brittle stars. They are very common in the Caribbean. They are so named because they are found exclusively either inside or outside living sponges. Imagine living in the sea where it is permanently dark, cold, and food is hard to find. For many animals at depth, it may be weeks to months between meals. If you find something to eat, you have to hang on to it. 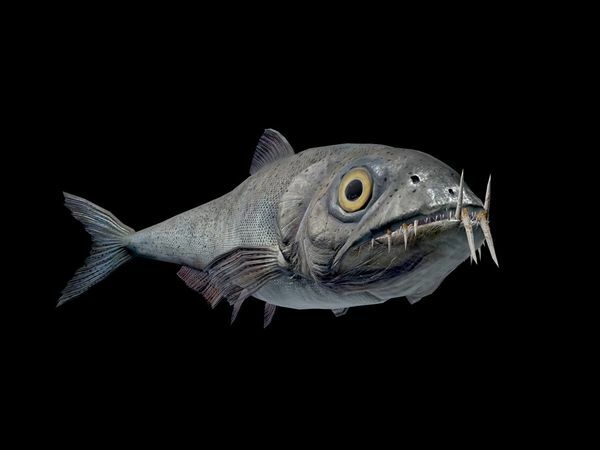 This is why so many deep-sea fishes have lots of big teeth. 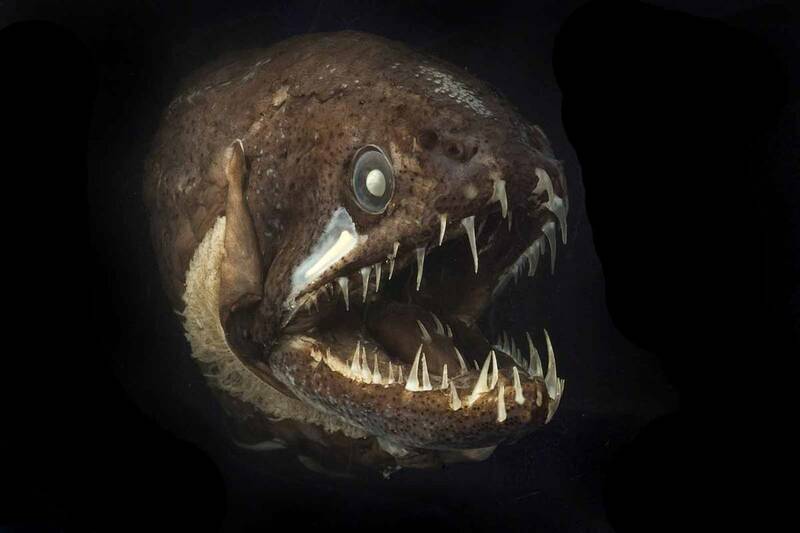 This dragonfish, spotted off the coast of Australia, even has teeth on its tongue. They would be terrifying animals … if they weren’t the size of a banana. 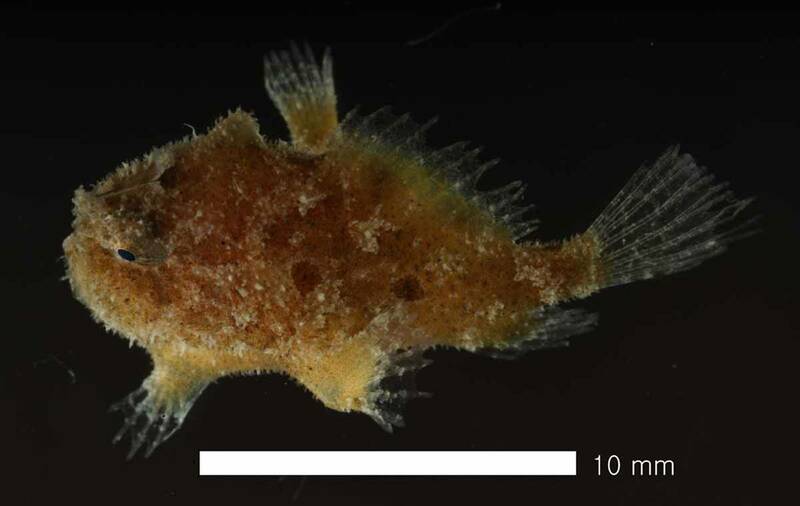 The sargassumfish (Histrio histrio) is a member of the frogfish family (Antennariidae), a group of small, globular fishes with stalked, grasping, limblike pectoral fins with small gill openings behind the base, a trapdoor-like mouth high on the head, and a “fishing lure” (formed by the first dorsal spine) on the snout. It typically lives in open waters in close association with floating sargassum weed (Sargassum natans and S. fluitans) but is frequently blown into nearshore and bay waters during storms. This specimen was found off the coast of Korea. 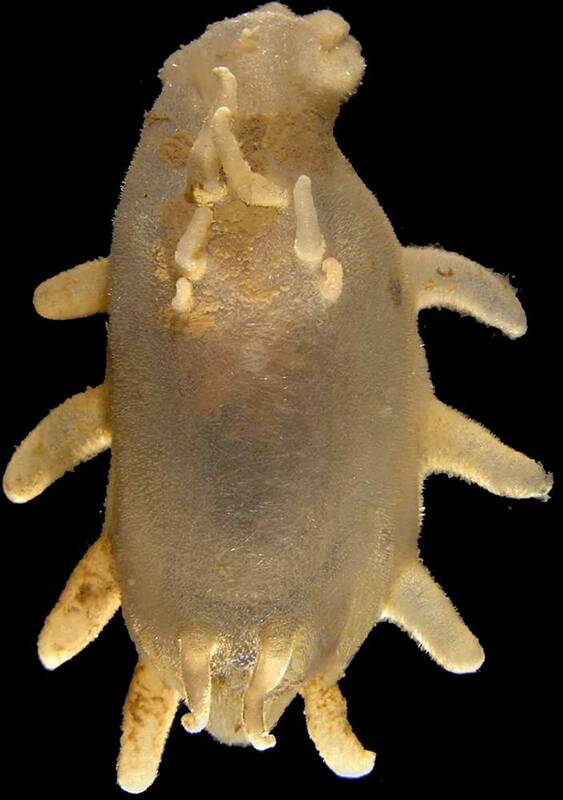 This newly discovered sea cucumber species, Elpidia belyaevi, was first found in the Arctic deep sea. Wonderful goods from you, man. 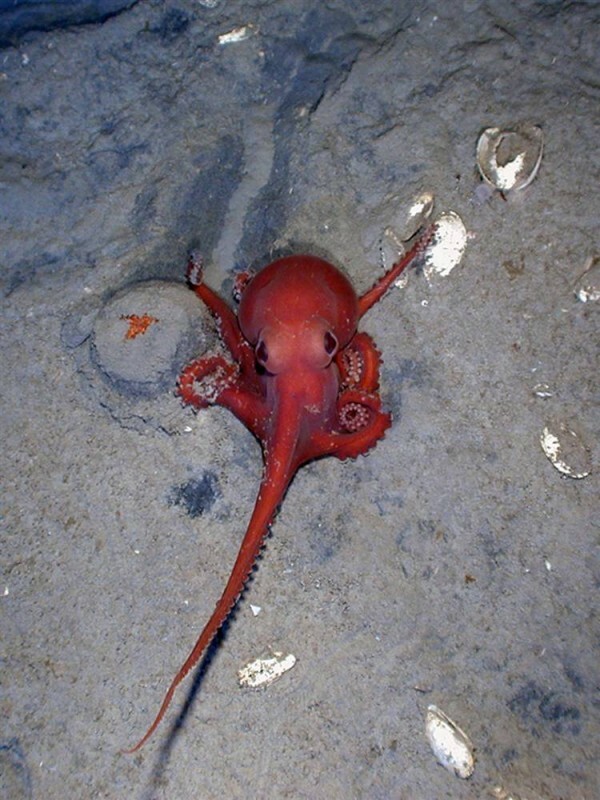 15 Bizarre Creatures Under the Sea oneclickwonders I’ve understand your stuff previous to and you’re just too wonderful. I really like what you’ve acquired here, really like what you’re saying and the way in which you say it. You make it entertaining and you still take care of to keep it smart. I can not wait to read much more from you. This is actually a great 15 Bizarre Creatures Under the Sea oneclickwonders informations. Hello There. I found your blog using msn. This is a really well written article. I will make sure to bookmark it and come back to read more of 15 Bizarre Creatures Under the Sea oneclickwonders . Thanks for the post. I’ll certainly comeback. Fantastic goods from you, man. 15 Bizarre Creatures Under the Sea | oneclickwonders I’ve understand your stuff previous to and you’re just extremely magnificent. I really like what you’ve acquired here, really like what you’re stating and the way in which you say it. You make it enjoyable and you still take care of to keep it wise. I can’t wait to read far more from you. This is actually a terrific 15 Bizarre Creatures Under the Sea | oneclickwonders informations. Excellent goods from you, man. 15 Bizarre Creatures Under the Sea | oneclickwonders I have understand your stuff previous to and you’re just extremely excellent. I really like what you’ve acquired here, certainly like what you are saying and the way in which you say it. You make it entertaining and you still take care of to keep it sensible. I can’t wait to read far more from you. This is actually a tremendous 15 Bizarre Creatures Under the Sea | oneclickwonders informations. Whats up. Actually needed to leave a swift commentary and question where you got your internet page model I am creating own blog and tremendously like your specific theme. Fantastic goods from you, man. 15 Bizarre Creatures Under the Sea | oneclickwonders I’ve understand your stuff previous to and you’re just extremely great. I actually like what you’ve acquired here, certainly like what you’re stating and the way in which you say it. You make it entertaining and you still take care of to keep it smart. I can not wait to read far more from you. 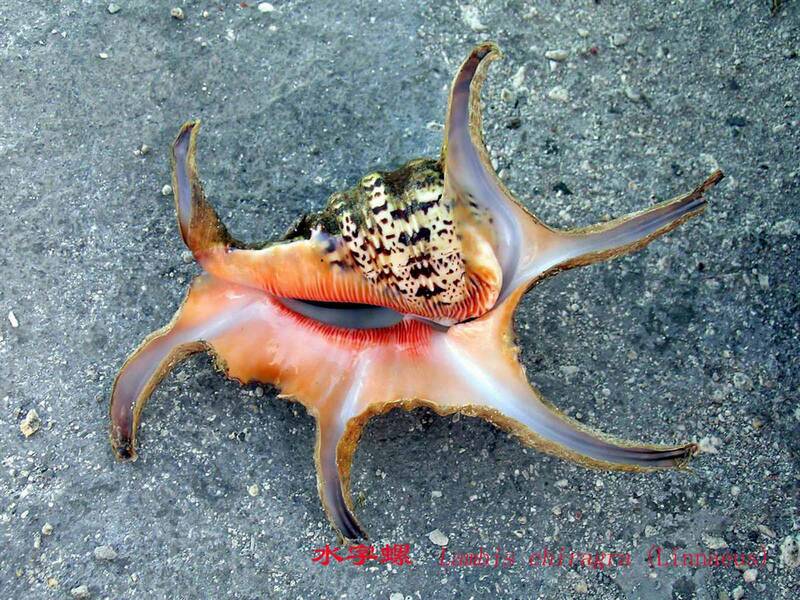 This is really a great 15 Bizarre Creatures Under the Sea | oneclickwonders informations. Some really choice posts on this web site , saved to my bookmarks . Sorry, but I dispute with this post. I do get pleasure from your site however and may continue to keep moving in return for news. Yeah bookmaking this wasn’t a risky determination great post! hey there and thank you for your info – I’ve certainly picked up anything new from right here. I did however expertise several technical issues using this site, since I experienced to reload the website a lot of times previous to I could get it to load properly. 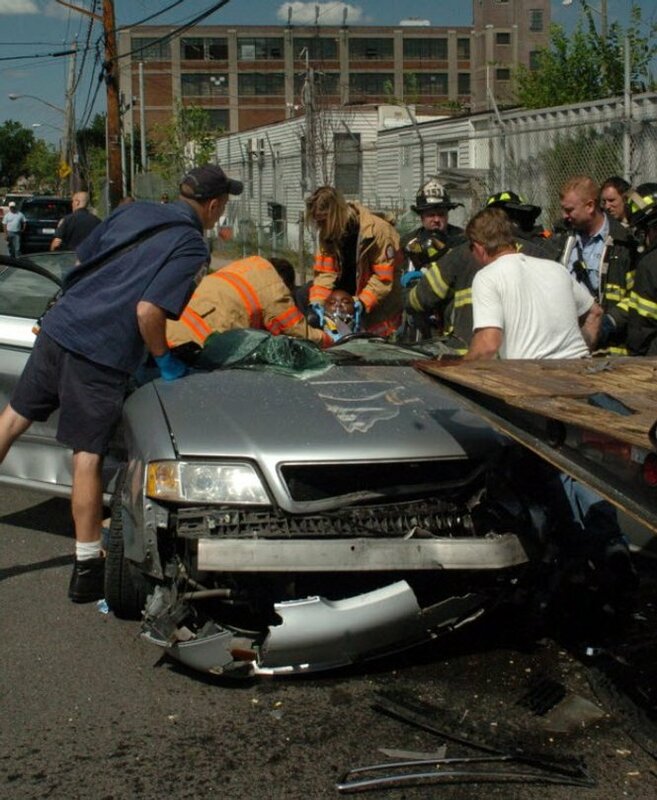 I had been wondering if your web hosting is OK? Not that I am complaining, but sluggish loading instances times will often affect your placement in google and could damage your high quality score if ads and marketing with Adwords. Well I am adding this RSS to my email and can look out for much more of your respective interesting content. Ensure that you update this again very soon.. I used to be extremely pleased to discover this site.I have to thanks to this specific superb post!! Obviously savoring every single bit of it and I book marked to observe newer things you write-up. I truly enjoy reading on this website , it has great articles . “When a man’s willing and eager, the gods join in.” by Aeschylus. hey i found a discount for Mass Profit Sites. I have so much fun doing Zumba for workouts. Hello Webmaster, I noticed that https://oneclickwonders.wordpress.com/wonders/animals/15-bizarre-creatures-under-the-sea/ is ranking pretty low for some keywords, this may be due to the new Google Panda update, or it could be due to a variety of other factors. I’m sure you already know about On-page SEO, where Google cares highly about proper formatting of various H1/H2/H3 tags, having your main keyword appear in the beginning of your post and having your post end with the keyword, along with having keyword related alt tags and very relevant LSI. However, you do not seem to have the proper Keywords or relevant Keywords in your posts and in the website. Right now you need a tool or plugin that will allow you to check on Keyword insights, search trends and check for backlink analysis and to find out your Keyword competition. To find a Keyword Plugin that combines both Keyword Research and has the ability as a Rank Checker is what WordPress Seo Keyword, please check out our 5 minute video. I am place for the wonders. It can be anywhere in the world. It also reside in you while you try to find some wonder. Try to hold it firm and you will be taken to the skies without wings.